With all the talk about gasoline prices and hybrid vehicles, the goal this time is to create a vehicle that runs on an ecologically friendly fuel source. Become the architect of the next revolution in human propulsion, or simply point out how silly a device powered by Methane might be, it's your call. 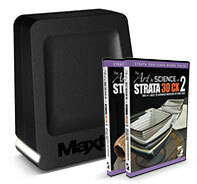 Your choice of Disk 1 or 2 from the Art & Science of Strata 3D v.2. Submissions must be a JPG image. The image cannot contain your name or email address anywhere on it, although you are welcome to post works-in-progress to the Cafe gallery or Cafe forums. Final submissions should be sent to me, Michael (michael@stratacafe.com) with an indication in the subject line that it's a final entry for the challenge. The 3D rendering in this challenge must be completed entirely in a Strata Product (any version of Strata 3D or Design 3D[in]). 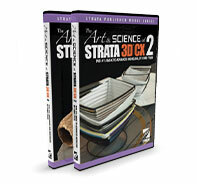 Modeling can be done in Strata 3D, or another app and imported into Strata 3D for rendering. 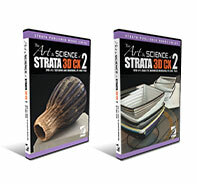 If you don't own any version of Strata 3D, you can can download a 30-day, fully functioning demo of Strata 3D CX 5.5 here! Photoshop, Illustrator, or other image editors or page layout programs may be used for post-processing, texture creation or page layout. Any amount of post work may be done in Photoshop or other image editors, but try to avoid excessively "hand painting" the image. These rules may be subject to change without notice before the close of the contest. October 3 - Look Ma, No Gas! Sept. 14 - "Falling Apart"